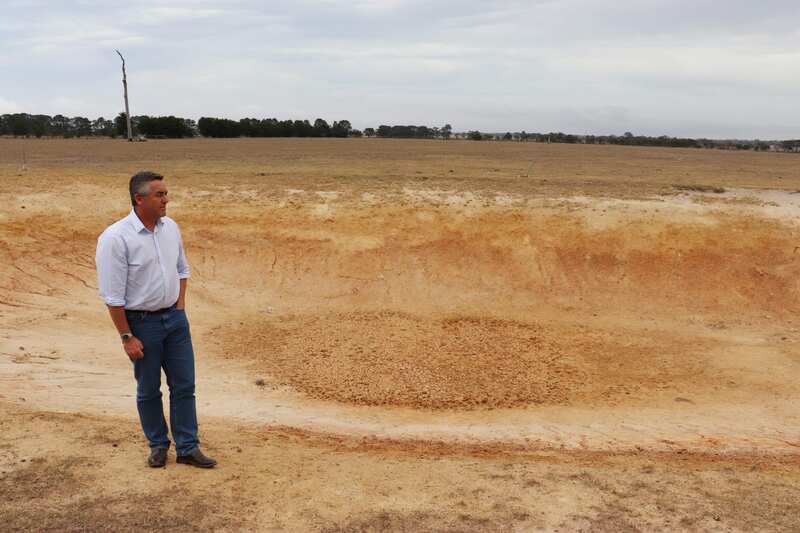 The Federal Member for Gippsland Darren Chester says all levels of government will need to do more to support local drought-affected farming families. Speaking after a tour of drought communities and a meeting with Victorian Farmers Federation representatives this week, Mr Chester said he was concerned the level of assistance being provided was not matching the high level of need in the community. Mr Chester has written to the Prime Minister and the Minister for Agriculture to repeat his call for a whole-of-government approach to the drought with a focus on reducing costs for farmers in Gippsland. “While the Federal Government has already taken a lead role with the Farm Household Allowance and a range of other measures, the drought has quickly worsened in our region and the level of assistance will need to be increased if we are going to support our farming families during these difficult times,” Mr Chester said. “I’ve had a meeting with the VFF, met individually with farmers and small business owners, and held regular discussions with local government representatives. It is very clear that more needs to be done to reduce red tape and assist families. “In some parts of the region, farmers are telling me these are the worst conditions in 100 years. Many families are now struggling to maintain breeding stock and meet every day costs such as municipal rates, wages, stock feed and household expenses. “In my letter to the Prime Minister, I have explained the need for all levels of government to work together with a co-ordinated plan to support farmers to ensure they are able to continue providing food for our nation when better conditions arrive. Mr Chester encouraged local residents to reach out to family and friends on the land and provide moral support in the weeks and months ahead. “This is a difficult period for many people but we have a proud tradition of looking after our mates during hard times in Gippsland,” Mr Chester said. The Federal Government has committed almost $7 billion for drought support, including more than $25 million to improve mental health services in drought-affected areas.